SemiRestore is one of the most awaited tool in the Jailbreaking community. iOS users around the world are eagerly waiting to get their hands on Semi-Restore. 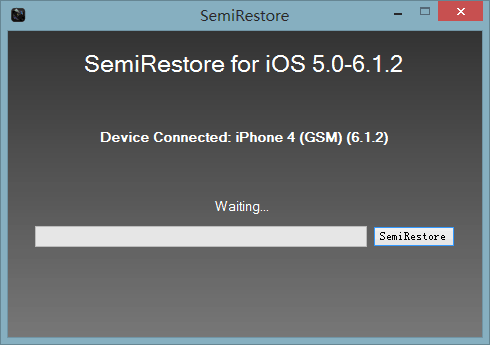 If you don’t know what Semi-Restore is then we are happy to revise its awesome work and contribution to iOS community. Semi-Restore is appeared to be the very first Jailbreaking tool utility that allow iOS users to easily restore their device on current iOS without losing jailbreak status. It allow users to clean their devices with a single click process, and fix annoying issues that they are facing on their devices with faulty jailbreak tweaks. SemiRestore is now finally launched for both Windows and Mac OS. User can now download it from their website, and as well as from mirror downloading links that allow users to install Semi-Restore and restore their devices to stock iOS without losing and deleting Cydia on their devices. Semi-Restore is a best restore utility for iOS users so far, and it provides a single click process. We have already mentioned it twice on our website, and got hands over the beta version of Semi-Restore to check its functionality. Step 1: First of all download the latest version of Semi-Restore application for your appropriate OS. 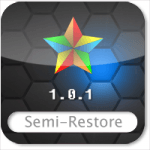 You can download Semi-Restore 1.0.1 from the official website or download it from below links we mentioned. Step 2: Once you downloaded the Semi-Restore (zip) file on your desktop, it is time to un-zip and run the Semi-Restore application. You will see a window similar to Evais0n Jailbreak tool. Step 4: Click the SemiRestore button to restore the device to clean. In the semi-restore process, your device may be reboot several times, this is normal.